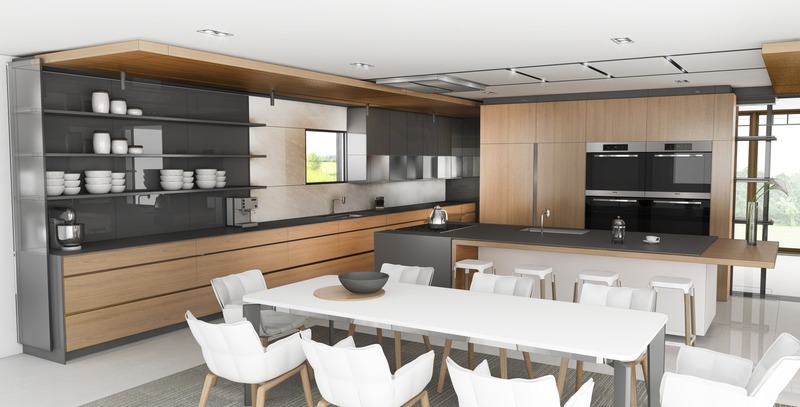 This rendering really shows the modern approach in design for this kitchen. 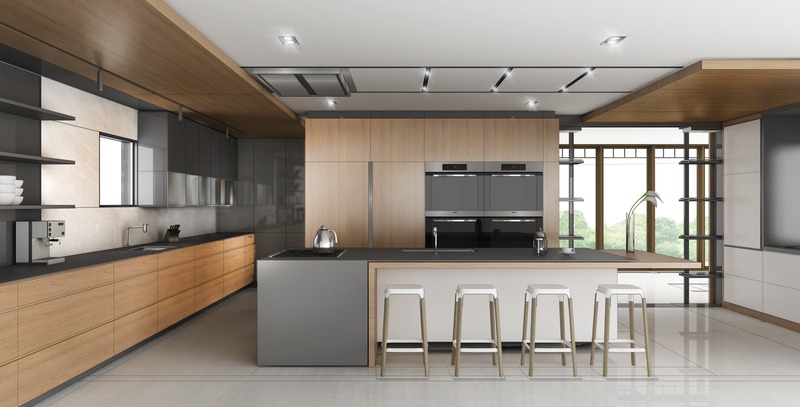 The kitchen’s features compliment each other extremely well in texture, color and material. 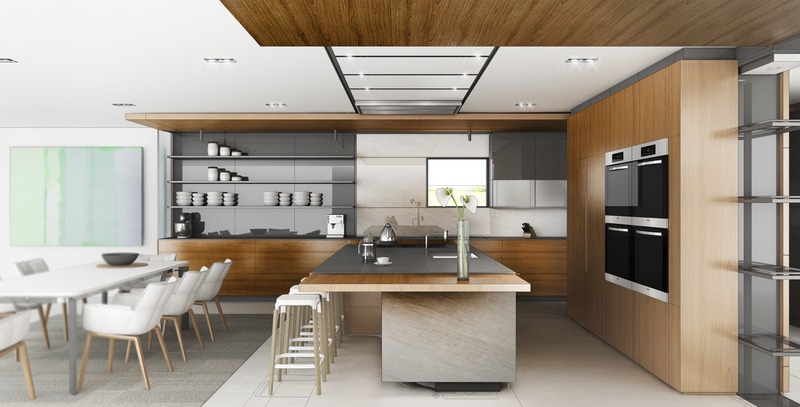 The open spaces allow for optimal flow between the kitchen and other rooms, as well as maximum space for preparing food.